Schools traditionally have been viewed as important community assets as well as educational institutions - centerpieces of community life, viewed in much the same way as town halls or historic churches. That is not merely a wistful image of the past – it is as true today as ever. And those of us working to turn around underperforming schools need to plant our roots deep in our communities if we are to achieve and sustain the results we are striving for. We often speak of education as a national issue, but while similar issues occur all over the country and would benefit from more federal government support, most of the funding and most of the solutions are coming from local sources. Even innovative charter school operators with national scopes realize they must customize their approach to each community they serve. There are numerous examples of charter management organizations that successfully lifted academic scores initially, but were stalled longer-term by a failure to engage, embrace and gain the support of the local community. Matchbook Learning’s biggest lesson in its first six years and six school turnarounds is this: no community buy-in means no sustainability. Lesson 1: To affect a community’s education trajectory, we must become part of that community. We spend countless hours in local coffee shops, grocery stores, parks and other neighborhood establishments around Indianapolis to better understand the needs, hopes and fears of each community. Anyone can pick up a demographic statistic sheet to find out who lives in a particular neighborhood, but it will never tell you what motivates them, what’s on their minds, what concerns they have for their children’s futures. That only comes from one-on-one conversations with people you consider your neighbors. Lesson 2: Every community, regardless of its challenges, contains assets. Every community includes organizations and institutions that have withstood the fall of their city’s economy and the patterns of gentrification and de-gentrification, all while passing the torch from the one generation to the next. 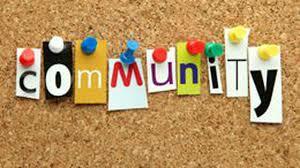 These community institutions typically include local houses of worship, community centers, community development associations, YMCAs and local businesses. These organizations provide a level of perspective and context for the individual stories of community residents. They can help you understand the themes and patterns that have affected the community over the years and can help organize, build strategic alliances and create consensus and buy-in around the type of sustainable educational turnaround we seek to achieve. Matchbook Learning has already identified several organizations in Indianapolis that we can partner with. Once we are paired with an individual school and community, we will hold a series of one-on-one grassroots conversations. We expect to have at least 20 conversations per month, every month from now until we launch a new charter school restart, which we hope will be in the Fall of 2018. We need to invest in those relationships continually over time, adjusting our plans based on feedback we receive. Focusing on the relationship ensures our commitment to the community is authentic, and continuously incorporating its feedback into our model demonstrates the integrity of that authenticity. In the coming weeks, we hope to be matched to a particular community in Indianapolis and its low performing school. If it is in your neighborhood, we want to hear what you have to say.